IRIS Radiology is a group of board certified and fellowship trained radiologists providing Primary Interpretations and Second Opinion consultations of MRI's, CT's and X-Ray's. 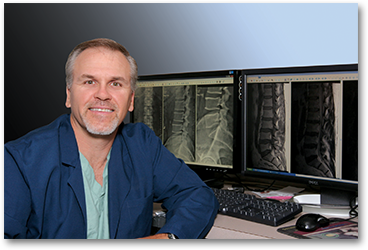 Our Radiologists go beyond general radiology to provide you with subspecialization in their specific areas of expertise. This includes, but not limited to, Neurology, Neurosurgery, Orthopaedic Surgery, Pain Management, Sports Medicine, Chiropractic, and Podiatry. Our customer service and vast experience will bring confidence to your diagnostic imaging needs.